Roger Earl is the man with the beat. 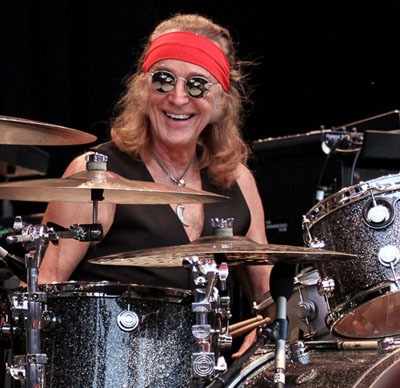 Pounding his drums for over 40 years, this British rock ‘n’ roller is partial to rock & blues (always has been). Roger left school at 16 to pursue a career in commercial art in London. to support his ‘drum & cymbal habit’. He did this for about 4 years (quite successfully) until he joined SAVOY BROWN at the age of 20 (“I didn’t receive payment for the first 6 weeks from SAVOY but at least I was ‘semi-pro’. 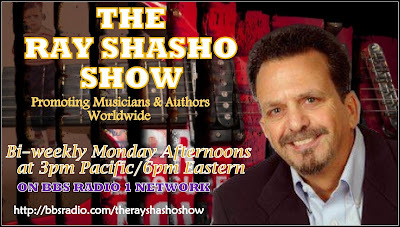 I continued auditioning for other bands during lunch hours and after work during this time because I still wasn’t sure I had the job”) He auditioned for people like The Crazy World of Arthur Brown and Jimi Hendrix, among others. His five albums with SAVOY BROWN (one of the hippest blues-rock acts on either side of the Atlantic) between 1968 and 1970 were ‘Getting to the Point’, ‘A Step Further’, ‘Raw Sienna’ (which became a British Blues Classic), “Blue Matter’ and ‘Looking In’. During a couple of lunchtime sessions, Roger, Dave Peverett, Colin Earl, Bob Hall (Savoy’s Pianist) and others, cut a rockabilly album called “Warren Phillips and the Rockets. He also played drums on Chris Jagger’s first album and Mungo Jerry’s debut album in 1970. 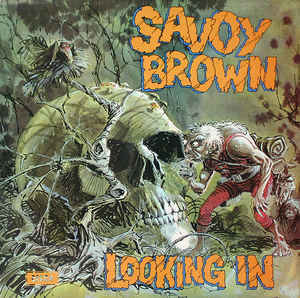 SAVOY BROWN did their first U.S. tour in 1968 with greats like B.B. King, Albert King, Paul Butterfield Blues Band, Charlie Musselwhite, the J.Geils Band and saw great artists like Bobby Blue Band and Buddy Guy. After touring the U.S. he knew he ‘was home’. 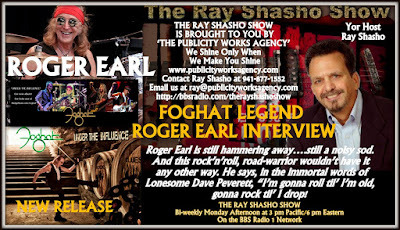 In December of 1970, Roger and Dave Peverett left SAVOY BROWN to form FOGHAT. 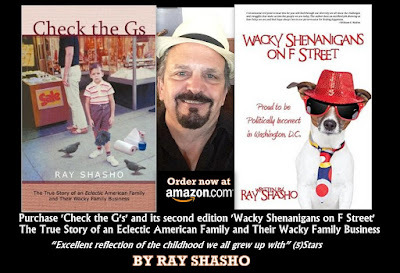 They hooked up with Rod Price and released their first record in 1972 on the Bearsville Label (a subsidiary of Warner Brothers) and followed with their first U.S. tour. They became an immediate success, following up the gold debut with lots of other gold albums….Rock n’ Roll, Energized, Rock n’ Roll Outlaws. 1975’s Fool for the City, which included ‘Slow Ride’, made them superstars. They continued the gold with Night Shift, their 1977 ‘Foghat Live’ (which went Double Platinum) and Stone Blue. These were followed with Boogie Motel in 1979, Tight Shoes, In the Mood for Something Rude, Girls to Chat and Boys to Bounce and Zig Zag Walk. By the early 80’s, Punk was in and musical tastes were going through a transition period. Rod Price had left the band (replaced by Erik Cartwright) and Lonesome Dave had returned to England. Settled comfortably on Long Island, New York, Earl admittedly ‘didn’t know how to relax’. He played with the New England Jam Band on weekends for awhile with people like James Montgomery, the Uptown Horns John Butcher, Charlie Farran, Fran Sheehan, Elliott Randall and Mark Rivera. But soon the remaining three members, Roger, Craig and Erik began touring again as Foghat. In 1993, the four original members of Foghat reunited at the request of producer Rick Rubin. Although the project with Rubin never materialized, they recorded ‘Return of the Boogie Men’ and were on the road again. The road, as it always had been for this ‘most traveled’ hard rock blues band, proved still kind to them. Three generations of fans were still boogie-ing to their music. By 1999, Rod had left the band again (replaced by Lonesome Dave’s great friend Bryan Bassett) and Lonesome Dave became seriously ill. He passed away on February 7, 2000. After several months of not knowing what to do, and a great deal of pressure to keep the band alive, Roger contacted Charlie Huhn (hoon) and asked him to join the band. The rest is history in the making. Now, 7 years later with a studio CD (Family Joules), a new DVD (The Official Bootleg Vol.!) and a new Double Live CD ‘LIVE II’ the band is doing better than ever! Roger Earl is still hammering away….still a noisy sod. And this rock’n’roll, road-warrior wouldn’t have it any other way. He says, in the immortal words of Lonesome Dave Peverett, “I’m gonna roll til’ I’m old, gonna rock til’ I drop! Foghat comes full circle with their newly released album entitled UNDER THE INFLUENCE Drawing from their collective musical influences, the band not only brought in some special guests from their past who helped launch and inspire the Foghat story, but also invited some new friends into the mix to continue the journey of this never idle band. They started recording at their Florida studio, Boogie Motel South in 2013. In addition to Foghat members Roger Earl, Craig MacGregor, Charlie Huhn and Bryan Bassett, two additional figures helped shape the sessions - Buddy Guy alumni, Scott Holt, who lent a hand in the writing, and added fantastic guitar and vocals to several tracks, and Grammy winning producer/songwriter, Tom Hambridge. With their resident genius, guitarist Bryan Bassett at the helm, the project was going slow since Bryan was doing triple duty, playing, writing and recording the tracks, while in the midst of a Foghat tour. So Tom Hambridge came aboard. According to Roger Earl "I met Tom when presenting 3 awards to Buddy Guy and Tom (his producer) at the Memphis Blues Awards. Tom said that he was a fan, and would love to produce a Foghat record. Putting that in the back of my mind, this was the perfect opportunity. 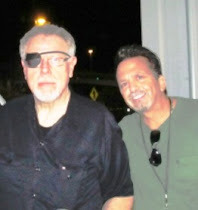 Tom came down to Boogie Motel South to meet the band and we clicked and started writing together immediately. Working with him was inspirational! During this time, an opportunity arose for some ‘other’ recording at Dark Horse Institute in Nashville for a friend's graduation project. Scott, Bryan and Roger recorded 6 tracks and a new ‘band’, ‘Earl and the Agitators’, with Scott Holt as lead guitar/vocals was born. They are now playing some dates opening for Foghat with Roger and Bryan doing double-duty. 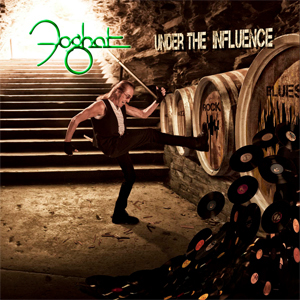 This great experience prompted Foghat to move the recording of “Under the Influence” to Dark Horse Studios where they brought in two of their major influences. Foghat was ‘spawned’ from the British Blues band ‘Savoy Brown’ in 1971, so it was fitting to ask Savoy founder and guitarist Kim Simmonds to join in. As Roger Earl puts it “Kim gave me my shot!” As soon as Kim started playing, everyone was mesmerized! Included on this release is a new recording of ‘Slow Ride” to celebrate the 40th anniversary. They invited Nick Jameson, (original bass player and producer of ‘Slow Ride’ on the 1975’ Fool for the City’ album) to play along with Foghat bassist Craig MacGregor who played bass on Foghat ‘LIVE’ (1977). They had a blast, and Foghat lead singer, Charlie Huhn, was as usual at the top of his game with his incredible vocals and guitar work! And to round out the project the amazing Dana Fuchs added some of her bluesy/sultry vocals to a couple of tracks! Three years in the making, Foghat had fun with this record and the result is an eclectic blend of rock and blues with a little funk and R&B on the side for good measure. It showcases the combined talent of all of the members both in the writing and the playing. This band never stops!